James “Whitey” Bulger, who once ruled violently over Boston’s criminal world, is expected to get a sentence of life in prison today and hear from victims of his crimes. It’s unclear whether the 84-year-old man will speak during the trial. But those who will speak are wives and children of some of Bulger’s victims, the Boston Globe reports. Prosecutors are seeking two life term sentences plus five years following the 31 criminal convictions. 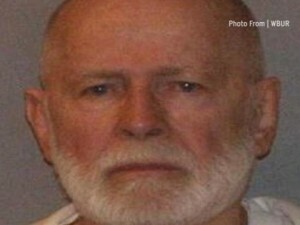 If Bulger’s trial is any indication, it’s hard to tell how Bulger will react today. He’s shouted at witnesses in the past. Posted: 11/13/13 at 8:29 AM under News Story.